Work moves quickly in Slack, so it’s essential that messages help users get more work done, faster. 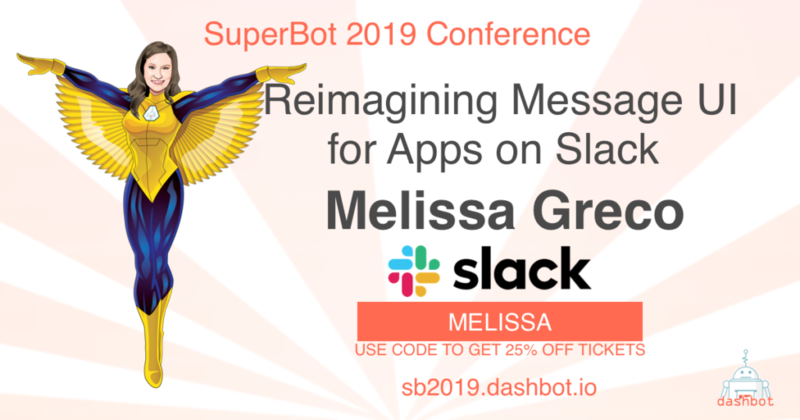 In this session, learn about the recent launch of Block Kit, a new UI framework for building apps on Slack that gives app developers flexibility and control over message design — enabling users to quickly parse and take action on critical information sent to them in Slack. Melissa Greco is a seasoned marketing professional who has worked in both large enterprise and late stage startup organizations to build and shape an empathy-based approach to strategic markets, particularly the developer community. She believes that a culture of cross-functional teaming, transparency, fast-paced collaboration, and a bias for action is the recipe for success. Melissa specialized in Cloud and AI across product, partner and industry marketing at IBM for nearly eight years. Most recently, she joined Slack’s platform marketing team, focused on developer products. Melissa holds a B.A. in Journalism and Spanish. Hailing from New York, she moved to San Francisco nearly three years ago and hasn’t looked back since.